WHub, which was the proud Hong Kong host of the Million Dollar Challenge, a global Roadshow of the Andhra Pradesh Government's Vizag FinTech Festival, announced a partnership with Vizag on Thursday, "to offer the possibilities of soft landing companies from India to China," allowing a bridge between the companies of the 2 cities. There were also 7 finalists of the 22 startups which will be considered to join the 25 startups invited to India for the final showdown. The finalists include: Kristal Advisors (HK) Ltd, Qupital, FireVisor Systems PTE Ltd, Raspect, 3DK Tech Ltd, KomraVision Ltd, MediConCen Ltd. The Global Pitchfest lands in 8 cities, also including in Tel Aviv, Paris, London, and Bangalore, in a global search to find and support the most promising startups with the potential to succeed financially and make a positive impact on the society. Sensetime, an HK start-up whose face- and image-recognition technology is being used for smart cities, online entertainment and finance has been hand-picked by Beijing to power China’s ambition to be a global tech leader. Founded by Chinese University professor Sean Tang Xiaoou and other academics, Sensetime will join a bevy of technology giants including Baidu and Tencent in spurring the development of next-generation artificial intelligence. Plant-based/clean-meat startup JUST announced its partnership with HK-based incubator company Brinc during this month’s Food’s Future Summit. The two companies will create the Food Technology Accelerator program with the joint mission of removing animals from agriculture to create a more sustainable global food system. 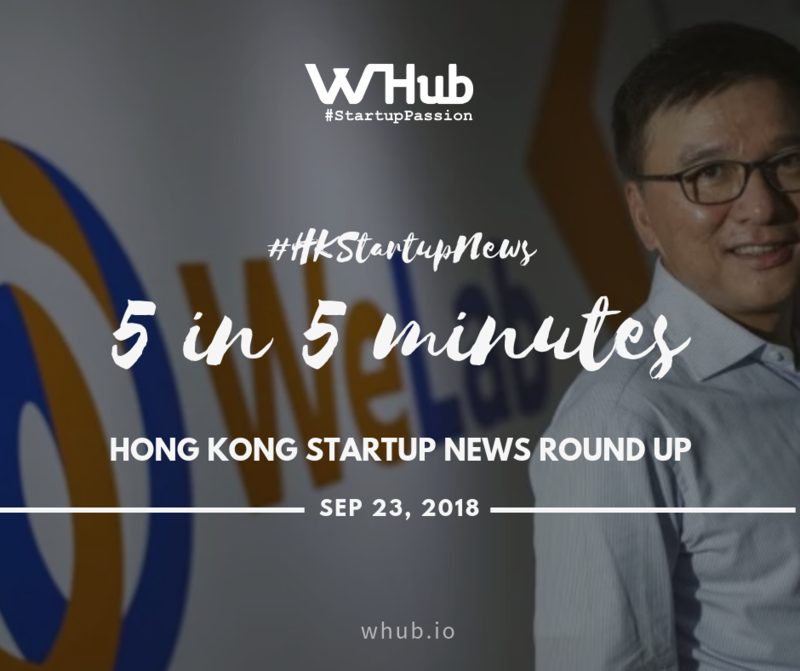 Up to 10 startups will be selected for the program, where they will receive $500,000 HKD in investment funding from Brinc, networking opportunities and support, and have access to JUST’s proprietary “toolkit” of data and materials it has collected about the molecular composition of animals and plants. “Delicious, high-quality, affordable food options that don’t require animal ingredients will transform the world,” Brinc CEO Manav Gupta said, “and we’re excited to continue Brinc’s philosophy of changing the way we feel, move, live, and eat while making a larger, lasting impact on the environment and ourselves.” Josh Tetrick, CEO of JUST. Four early employees and two contractors have resigned from the Hong Kong cryptocurrency company Block.one to start up StrongBlock, a new blockchain project that is currently under wraps. David Moss, Thomas Cox, Brian Abramson and Corey J. Lederer, the employees, were the second, third, fourth and fifth to be hired by Block.one, the corporate parent that created the decentralized operating system and application environment EOS, a computing protocol that supplies a native cryptocurrency of the same name and has a market capitalization valued at more than $5 Billion today. "We left because we saw a need in the blockchain marketplace that Block.one was not going to address," one of the former Block.one employees said. The ex-Block.one associates formed StrongBlock in July with Branden Espinoza, an EOS governance specialist. StrongBlock is in stealth and does not plan on releasing its product soon. The CareVoice, a Shanghai-based health insurtech startup which is transforming healthcare into a more consumer-centric experience, announced the launch of its mobile platform for consumers and insurers in Hong Kong. The announcement marks the award-winning company’s first major expansion outside of Mainland China. The CareVoice will focus on Hong Kong to further enhance the core platform experience and data while building on new partnerships to provide a comprehensive digital solution. The company’s latest partnership is with Inter Partner Assistance Hong Kong Ltd.. “We are confident that our partnership with The CareVoice will provide new advantages for our healthcare partners and continue to accelerate our healthcare innovations by providing our customers with a transparent, integrated and personalized healthcare experience.”, said Joseph Lee, CEO of Inter Partner Assistance Hong Kong Ltd.